【Hong Kong Badminton Open】Lee Yong Dae’s Come Back Made Korean Team the Focus of the Tournament! 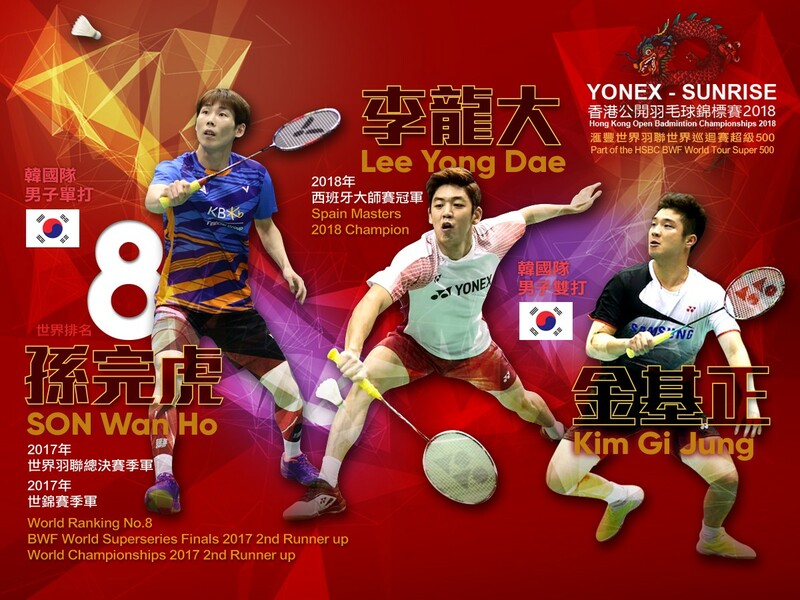 Local fans are looking forward to the " YONEX-SUNRISE Hong Kong Open 2018" as the Korean team will send their strongest lineup include the No.1 player Sun Wan ho and recently returned player Lee Yong Dae. Son Wan Ho, currently ranked 8th in the world, is Korean’s only world top 10 Male Singles player and is regarded as the leader of the team. Last year, he won bronze medals in the BWF Superseries Finals and World Championships. The 30-year-old was crowned the champion in Hong Kong Open 2014 and will strive to get on the podium again this year. Another surprise for local fans is the Korean Men's Doubles Lee Yong Dae/Kim Gi Jung joined the tournament’s qualifying round on 13 Nov after player’s withdrawal. Lee Yong Dae has held the World No.1 ranking with former partner Yoo Yeon Seong for a long time until his retirement in 2016. In this September, the 30-year-old has returned to the court with his new partner, 28-year-old Kim Gi Jung and won the Spain Masters. “YONEX-SUNRISE Hong Kong Open 2018” will be held from 13th to 18th November at Hong Kong Coliseum. Men’s Doubles matches start from 13th November, Tuesday. Tickets are available for sales at URBTIX (www.urbtix.hk). Get your tickets as soon as possible!